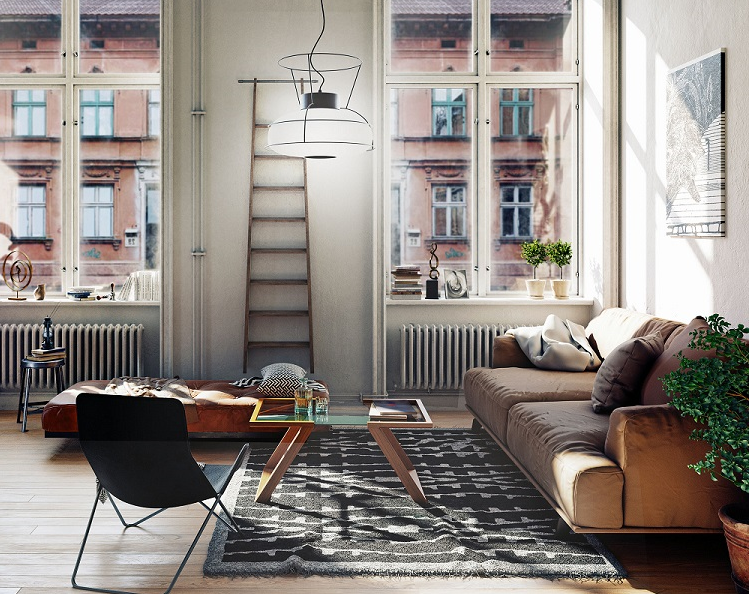 If you hadn’t already heard of LIFX, it’s time you did. 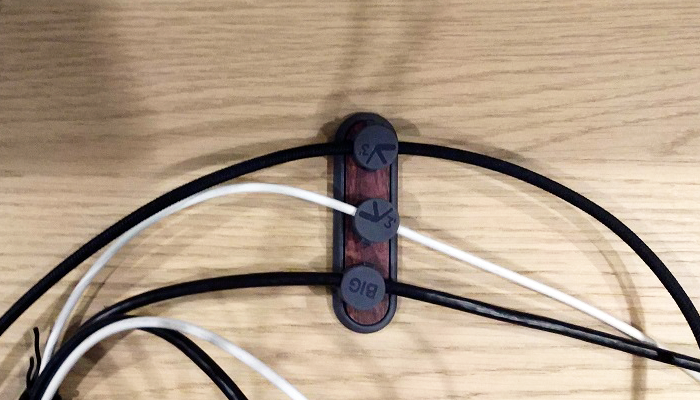 Pronounced as “LIFE-X”, it was founded by Phil Bosua on Kickstarter way back in 2012. 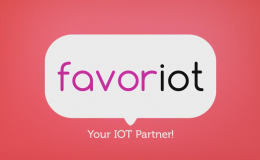 It started of with a multi-coloured smart bulb and their product line has since grown in leaps and bounds. 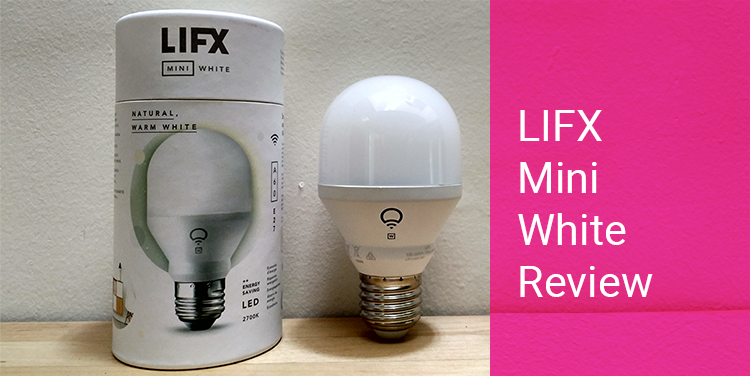 Today, we will look at their most basic smart bulb, the LIFX Mini White. 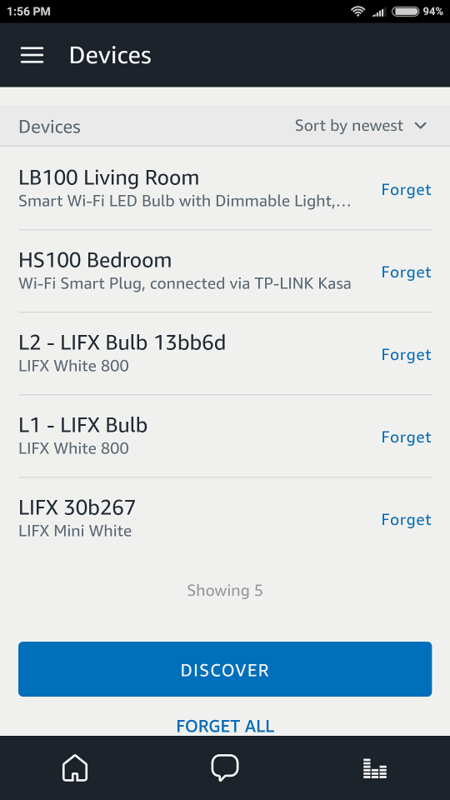 The LIFX Mini White is under their Mini line of smart bulbs. Just think of Me and Mini Me from Austin Powers. 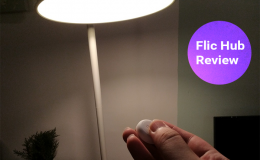 This bulb is only dimmable and not tunable, which means no changing of colour temperature. 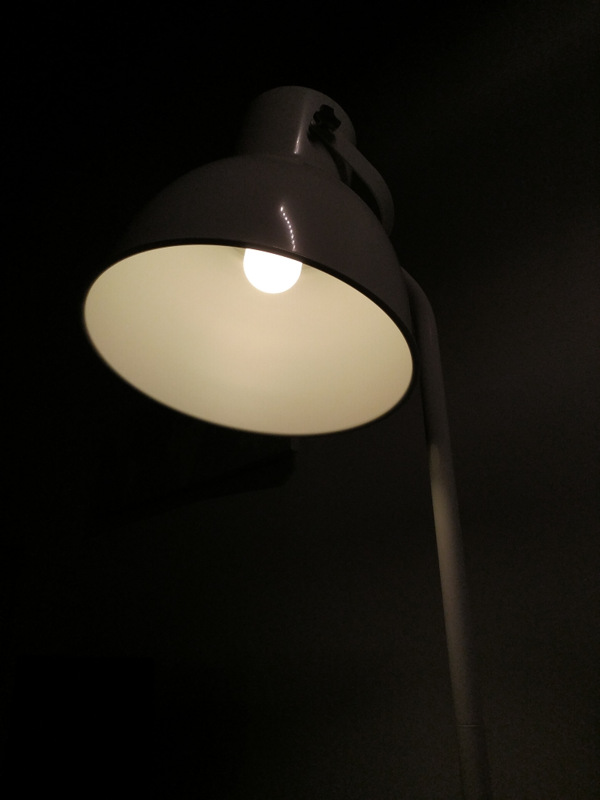 Speaking of colour temperature, it is set at 2700K warm white and has a brightness of 800 lumens. It comes in sizes of E26, E27 Screw or B22 Bayonet and for this review, we have the E27 model. There’s just no getting past the fact that the LIFX Mini White looks cute and adorable. 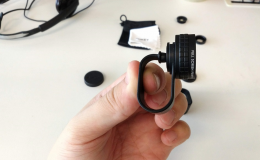 The build quality is solid and it felt assuring when screwing and unscrewing the bulb. 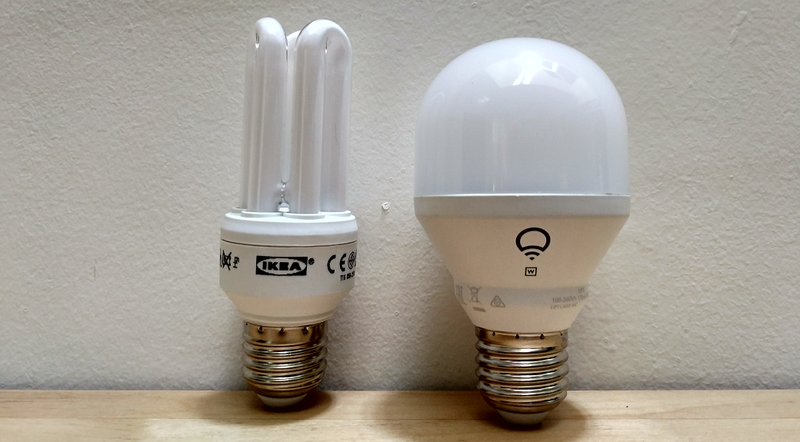 LIFX Mini White next to an Ikea bulb. Setup was relatively simple. First screw the bulb into the socket and switch it on manually. 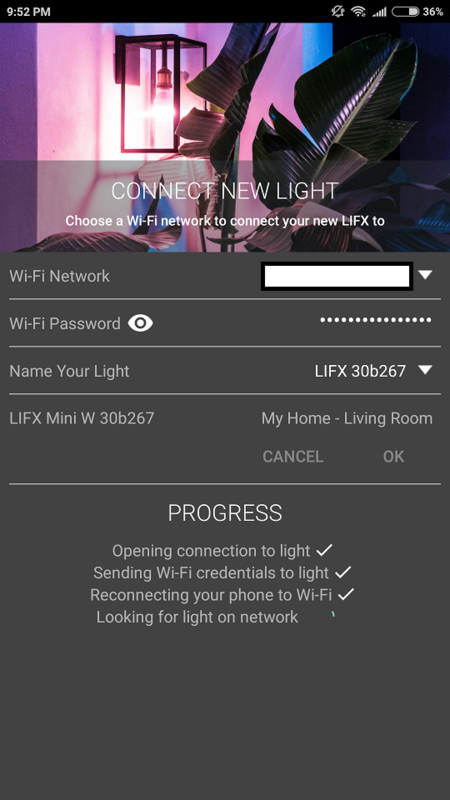 Next, download and launch the LIFX app (iOS and Android). 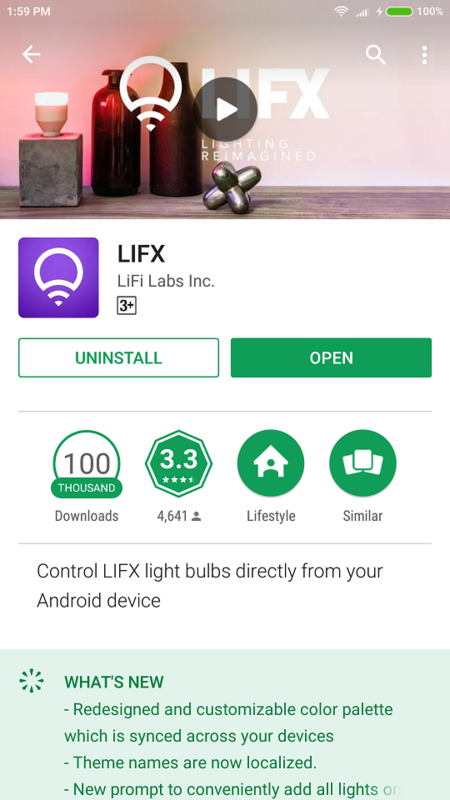 LIFX app in the Play Store. 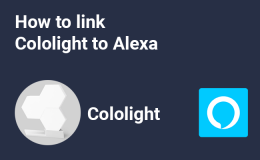 Tap on the ‘+’ icon on the top right and select ‘Connect Light’. Select the LIFX Mini White bulb. You bulb should appear on the screen. Next key in your WiFi password and name your light. 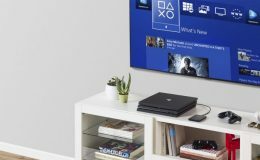 It will then attempt to connect the bulb to your network. 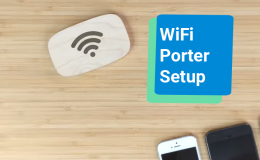 Enter in your WiFi credentials. 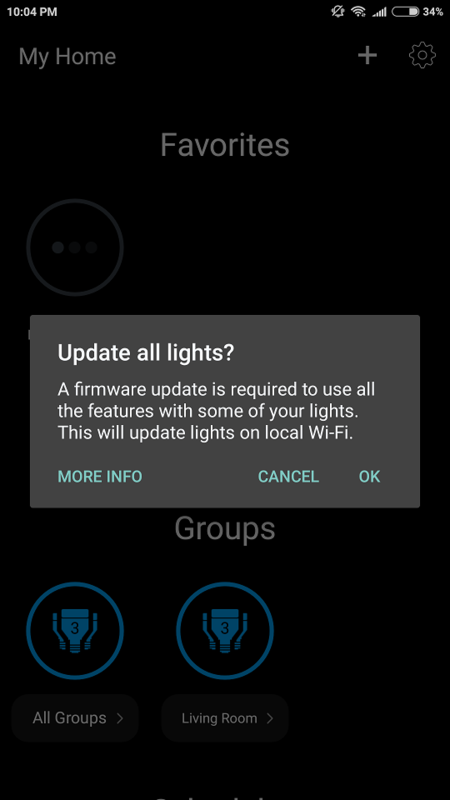 Lastly, it will update the bulb with the latest firmware. It will indicate once the bulb is updated and you’re good to go. 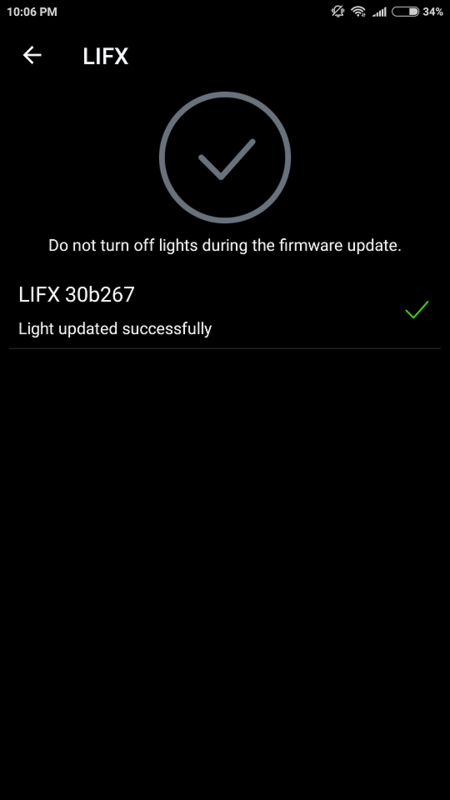 Update your bulb with the latest firmware. 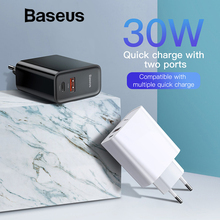 The features for the Mini is basic given it’s only dimmable. This means apart from turning on and off, you can only control the brightness of the bulb. This is done via a scroll wheel on the app which displays the percentage as you adjust accordingly. One nice feature is the fade-on fade-off (Push to fade). What this does is a fade effect will occur over a specified duration. For example, with a 10 second fade applied, turning the bulb on will gradually increase the brightness over a period of 10 seconds. Useful if you prefer gentle transitions. 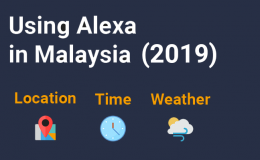 Home automation is also supported with Google Assistant, Amazon Alexa and Apple Home Kit. 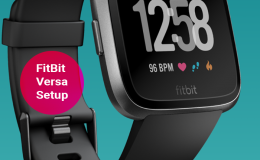 Those who want to automate further can do so with IFTTT. 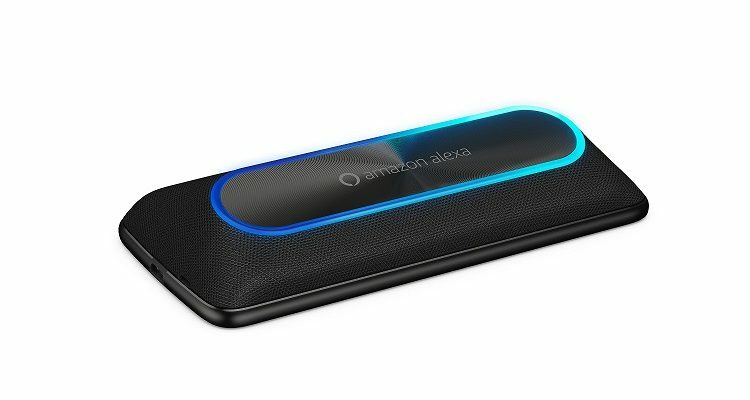 List of devices added to Alexa. LIFX Mini White is at the bottom of the list. 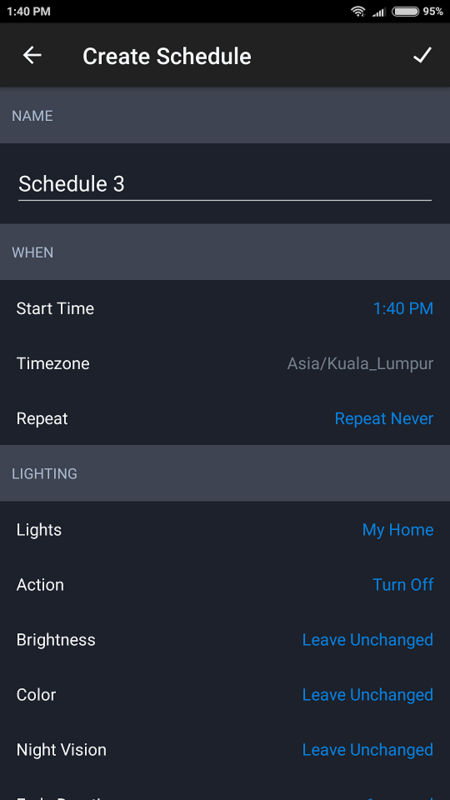 What is home automation without creating schedules. With schedules, you set specific times of the day and week you want the LIFX Mini White to turn on/off. Not only that, you can determine the brightness level when it turns on and also the fade effect. Nice! 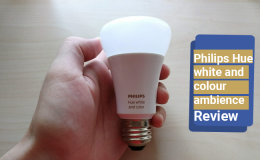 The rest of the features like Effects and Day & Dusk weren’t tested in this review as both are best used with a colour changing bulb range, i.e. LIFX A19. 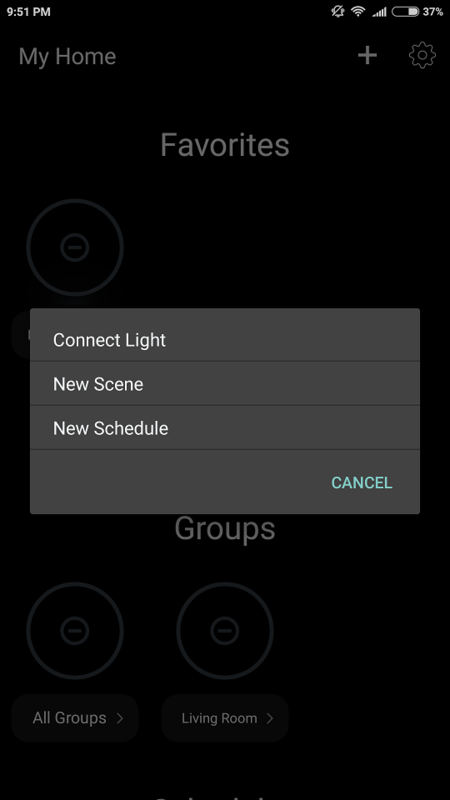 With Effects, you can set your bulb to be a music visualiser that changes colour depending on the sound detected on your device’s microphone (phone or tablet). Day and Dusk changes your bulbs white temperature depending on the time of day; Cool in the morning and warm in the evening. 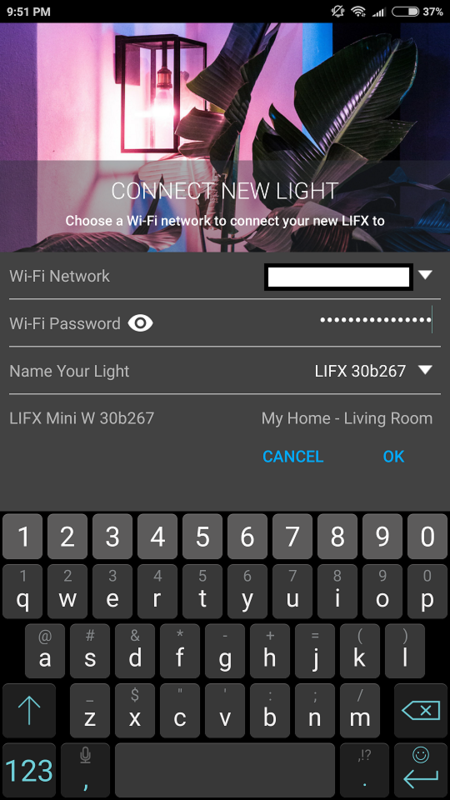 Opening the LIFX app to control the bulb was straightforward and responsive. 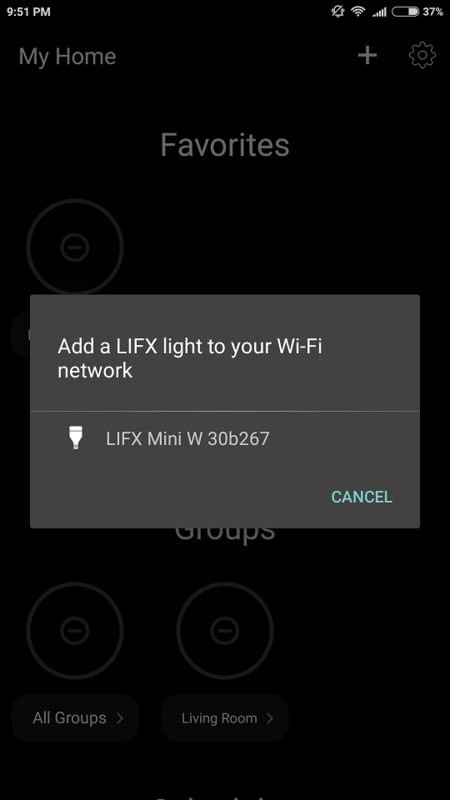 The only minor issue was with the LIFX widget. The time it took to respond after tapping on the widget controls was about 2 – 3 seconds. 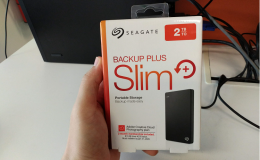 I would have preferred it to be instant as it detracts from the overall experience. The app interface could do some improvements also. 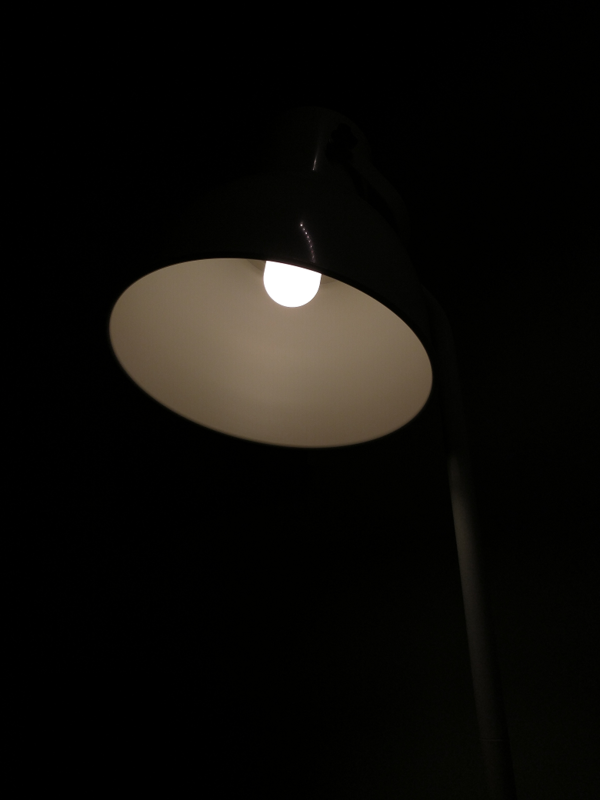 Because the Mini White is only dimmable, the temperature ring around it is darkened to show its disabled. That’s understandable. 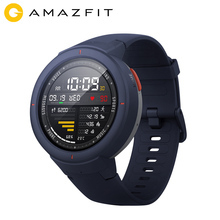 But the scroll wheel colour (darkish grey) didn’t help either. At first glance I thought my bulb was offline. Maybe an indication/prompt that only the scroll wheel was enabled would have helped in distinguishing which feature was available. 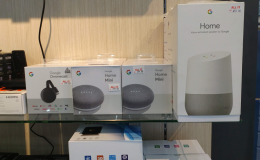 In the home automation section, using Google Assistant and Amazon Alexa worked like a charm. 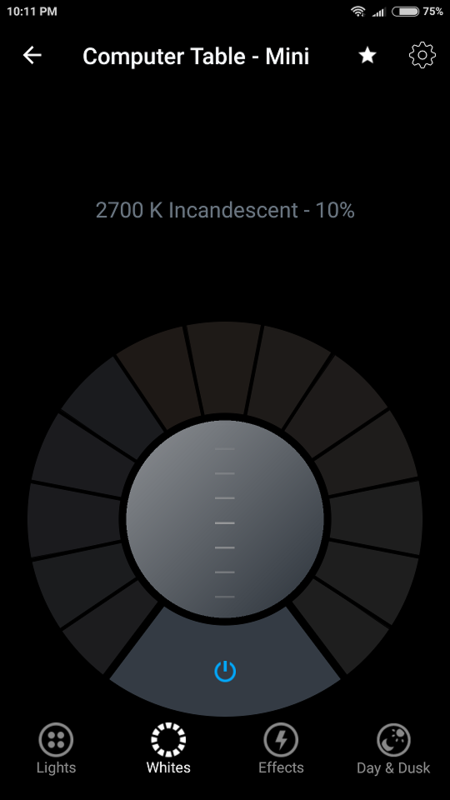 If you have an ipad or iphone, LIFX is one of the few bulbs that supports Apple HomeKit so make sure to try it out. 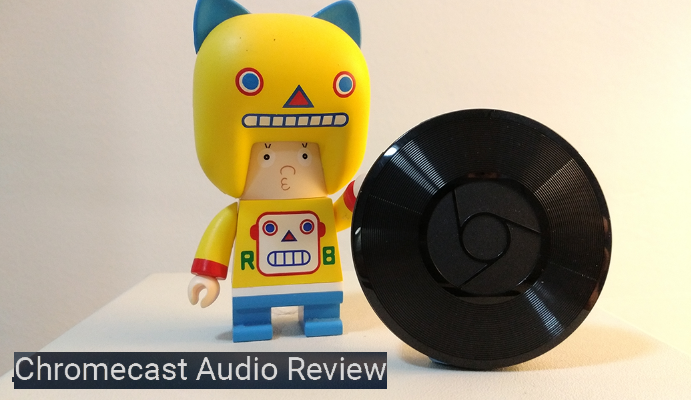 Other than these minor gripes the overall experience was a good one. The LIFX Mini White is available at two places; the LIFX website and on Amazon. 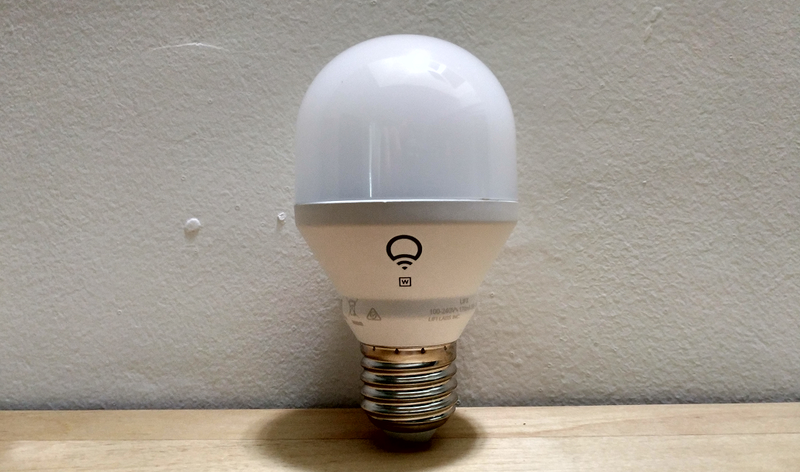 On the LIFX Website you have the option to select either the E26 or E27 size for the bulb. 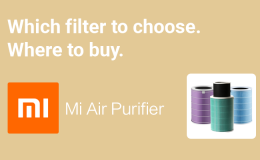 For Malaysian residents please select the E27 size. 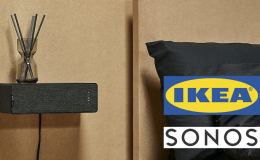 For the rest, do check your country’s size. 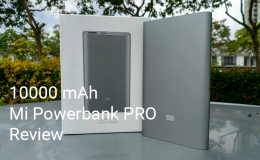 Good build quality and reliable. That’s how I will sum up the LIFX Mini White. 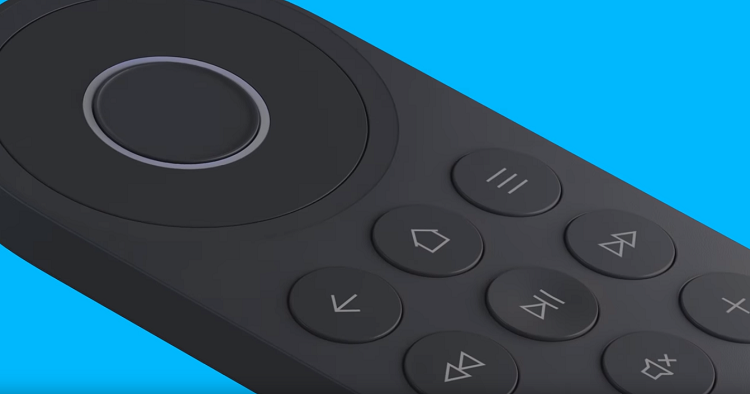 As simple as it looks, immediately you can tell that the industrial design was well thought of. Using the bulb for a month, there weren’t any issues with operating it. It turned on/off when I wanted it to and it didn’t miss a schedule. 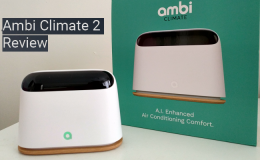 Support for home automation is also well covered with Google Assistant, Amazon Alexa, Apple Homekit and IFTTT. If you’re looking for an entry level smart WiFi bulb without the bells and whistles, the LIFX White Mini could very well be your choice. 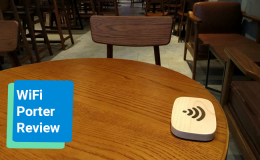 Another one to check out is the TP-Link LB100 which we also reviewed. Both are entry level smart bulbs and we won’t hesitate to recommend either.